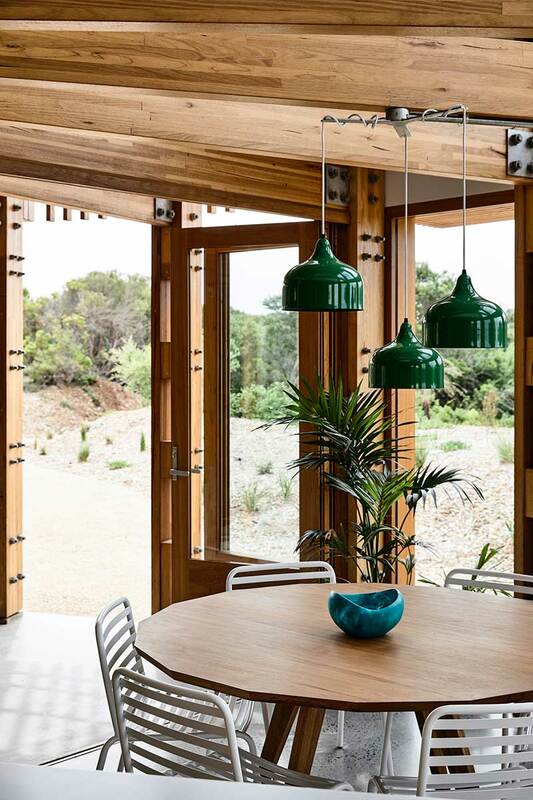 St Andrews Beach house is set along an Australian shoreline amidst the Mornington Peninsula in Victoria. 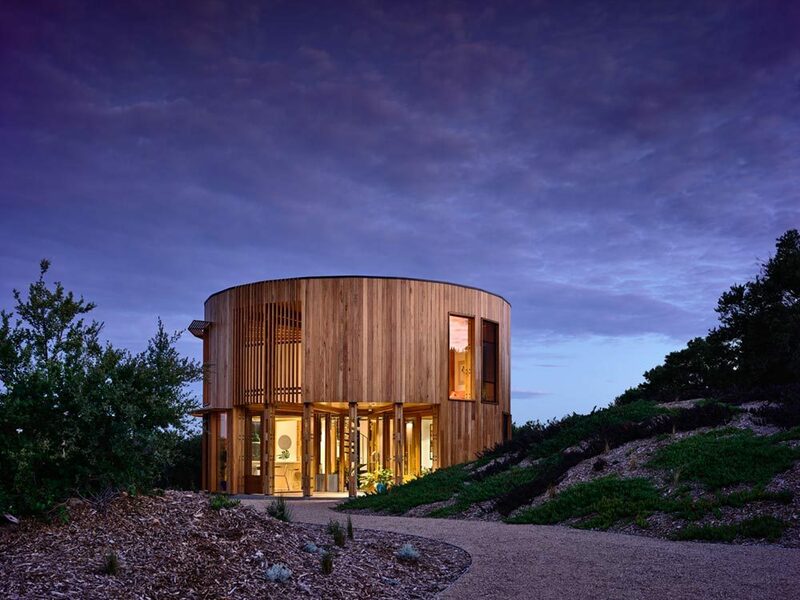 Transforming the landscape with its round wooden exterior, it is an unusual space amidst these forested foothills. 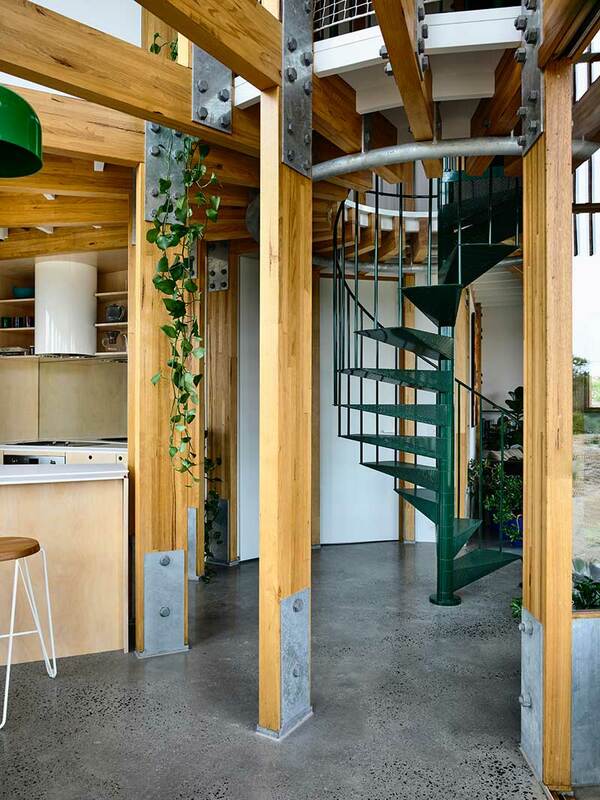 Fashioned after a ‘bach’ – a word originating out of New Zealand meaning ‘modest shack’ – this small space of 139 sqm. 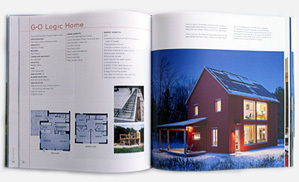 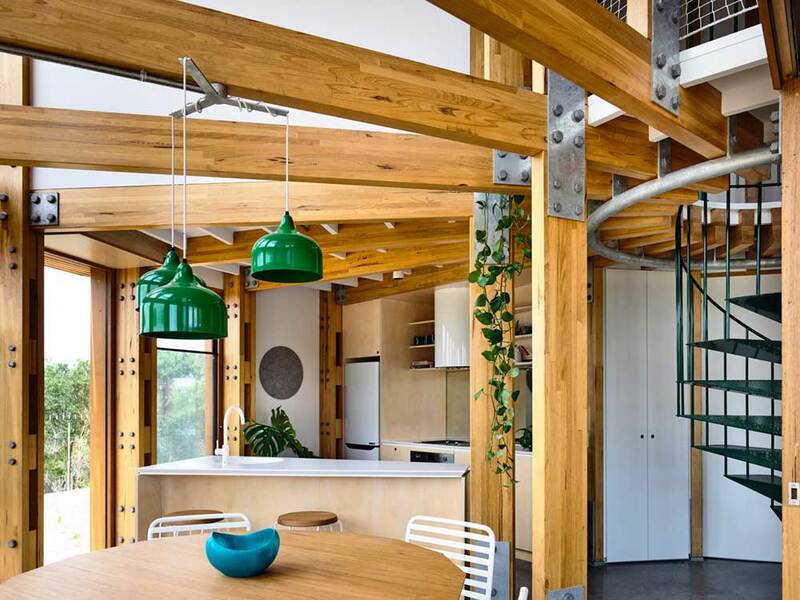 provides a two-story living area with two-bedrooms within. 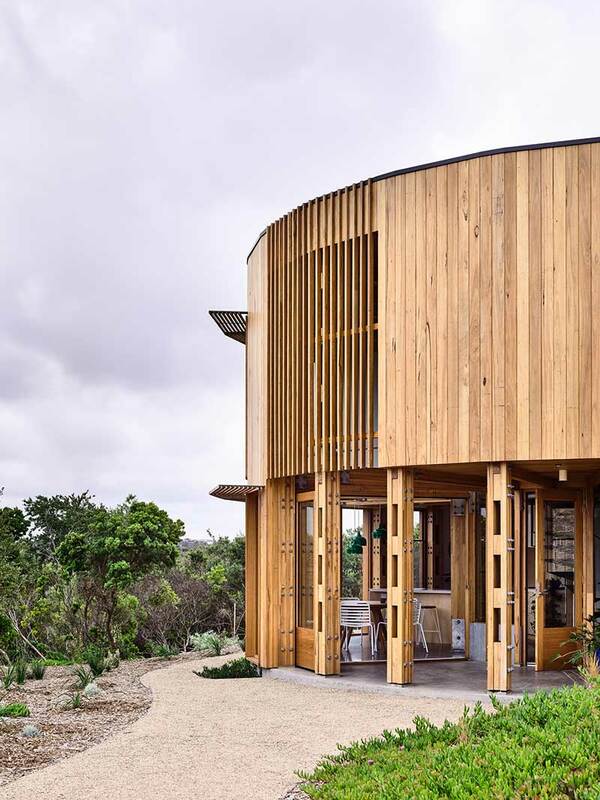 While the circular nature of the house allows for a bevy of views, with nothing but green foliage and light grey sand extending beyond its walls. 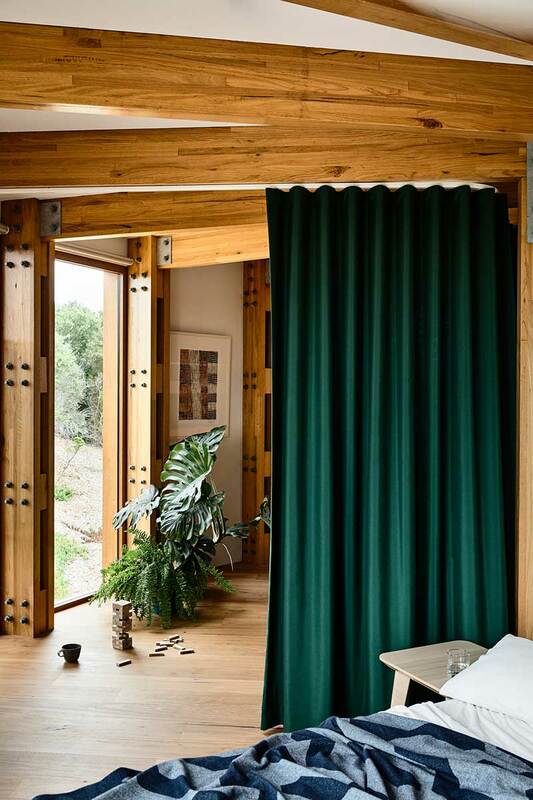 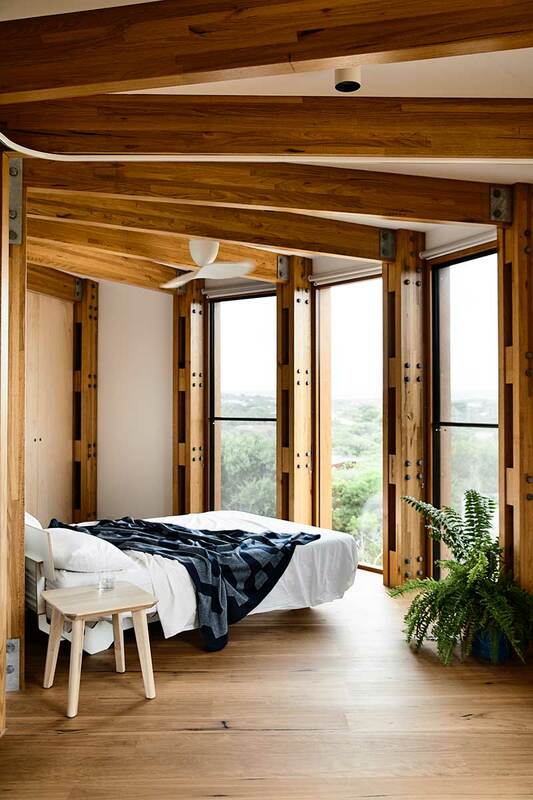 With no wasted space, each area speaks to its own purpose without feeling cramped; offering features such as timber beams with industrial style metal joints, a spiral staircase at the core of the structure, and heavy green drapes separating the rooms above. 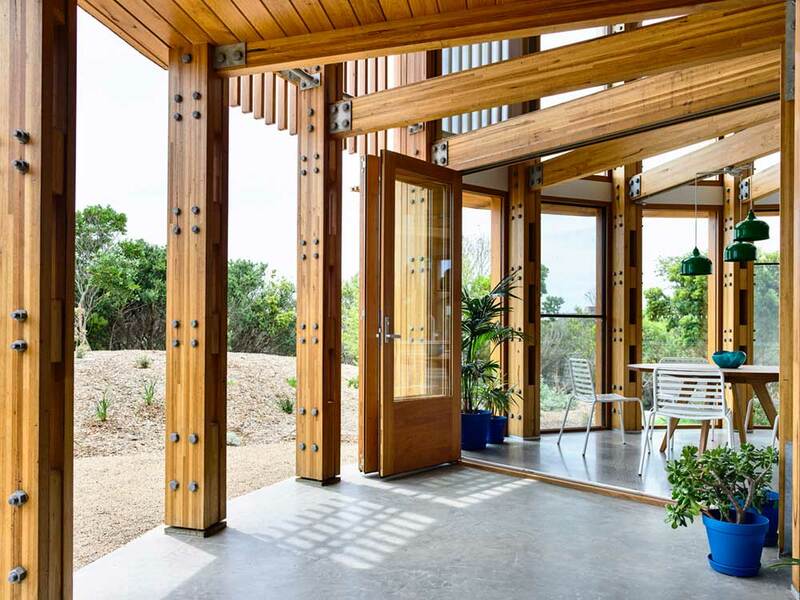 Polished cement floors on the lower level extend out past the dining room, creating a seamless patio space through foldaway doors, and a light wood floor on the upper provides a beautiful contrast. 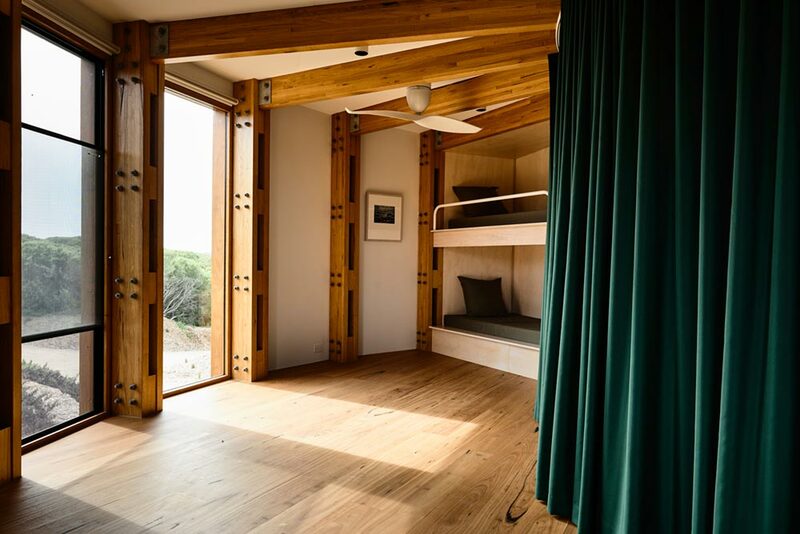 This ‘shack’ delivers everything one would need to live comfortably, without cluttering up the view with needless space – truly making St Andrews Beach House a king among castles.